March 29, 2019 Taught by Shaheena Fredricks. Suitable for confident beginners. Cost is $25.00 plus ruler. There are 15 spaces. Sign up will be at the Februaary meeting. April 26, 2019 workshop will be taught by Eliza Dinner. Suitable for the confident beginner.Cost is $25.00 and there are 15 spaces. Sign up will be at the March meetin. May 24, 2019 workshop will be taught by Yvette Chilcott. It inv sewing accurate triangles. Cost is $25.00 and there are 15 space. Sign up will be at the April meeting. January 25th, 2019 Marilyn Edmonds will be the instructor. Cost is $25.00. February 22, 2019 Instructor will be Geraldine Rorabeck from Picton. Cost is $25.00 plus pattern and foam. Sign up will be at the January meeting. Brenda Higgins will be teaching this workshop on September 21st and October 26 at the Brighton Community Centre from 9:00 to 3:30. The class is full. This workshop will be held on Friday, November 23 at the Brighton Community Centre from 9:00 to 3:30. Eliza Dinner will be teaching this class and the cost will bbre $25.00. 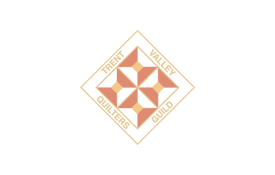 Sign up will be at the October Guild Meeting. The contact person is Midge Trauzzi. Faced Binding the easy way. Free Motion / Quilt as you go. For our October 2017 Workshop, Eliza Dinner taught two components of this Workshop. In the morning we had Quilt as you go technique demonstrated and in the afternoon Free Motion Quilting. So a very valuable workshop for all who attended. The photograph shows the attendees with their completed projects.